At the office of attorney Damon C. Hopkins, we uphold the interests of the accused. In representing juveniles, adults, and families in trouble, we work with good people who have just made a bad mistake. If you’ve been charged with a DUI, Drug charges, or something more severe and are located in Erie County, including Edinboro, North East, Corry, Girard, and other surrounding townships, criminal defense attorney, Damon C. Hopkins can help. At our firm, we understand that good people sometimes make bad choices. For more information or to schedule an appointment Call Us. Attorney Damon C. Hopkins is a former prosecutor, providing him a unique insight into the process of criminal defense. He can view your case from all angles and plan the best possible line of defense. With more than 22 years of trial experience, both as a prosecutor and a defense lawyer, he is prepared to assist you in any criminal case and helps to protect people’s civil rights. Attorney Hopkins handles every type of criminal case, including serious felonies and misdemeanors, DUI’s, drug offenses, juvenile charges, and even traffic offenses. Consequences for drunk driving, also known as DWI and DUI are serious. If convicted, you could be confronted with incarceration, license suspension, inability to be insured, fines, and court costs. If you are looking for a DUI/DWI attorney -for either your first offence, an underage DUI, or worse- Damon C. Hopkins will guarantee your rights are protected. Drug cases, especially those involving meth, marijuana and prescription medications, seem to be on the rise. Whether you or a loved one is the subject of an ongoing drug investigation, have been arrested, or have received drug charges in the mail, you are entitled to seek the advice of a drug offense attorney. There are significant differences in procedure and philosophy in the juvenile system as opposed to the adult criminal system. You need an experienced juvenile criminal defense attorney who practices in juvenile criminal court. Most criminal attorneys do not routinely handle juvenile criminal matters. Attorney Hopkins handles these cases frequently and can offer a strong strategy to avoid harsh consequences, making him the right juvenile criminal lawyer for your needs. Traffic violations don’t only carry the expensive fines and costs; they can also bring points on your driver’s license and sometimes suspensions of your driver’s license. If you don’t know what you’re facing it can be disastrous, and the police don’t have to tell you. Whatever traffic violations you find yourself facing, traffic violation attorney Damon C. Hopkins can help. Many first-time offenders may be eligible for an Accelerated Rehabilitation Disposition (ARD). In ARD, the accused does not admit guilt, but instead agrees to pay fines, restitution, and serve a term of probation. In exchange for abiding by the requirements of the ARD program, the accused can earn a complete dismissal of the criminal charges. 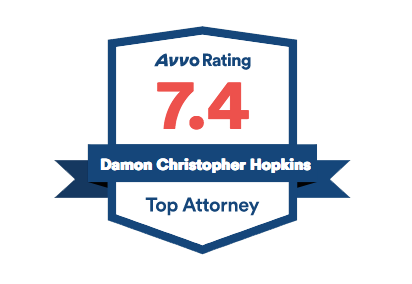 Consulting Damon C. Hopkins, an ARD attorney, will be the right decision for you. Criminal Defense Attorney Hopkins has handled every kind of criminal case from First Degree Death Penalty Homicides to Summary Traffic Offenses. All criminal offenses are categorized as either a Felony(1,2,or3), Misdemeanor(1,2,or3), or a Summary. Attorney Hopkins can help you defend against any criminal offense no matter how severe or how minor it may seem.